Jo's Favorite Things: Happy New Year 2018! 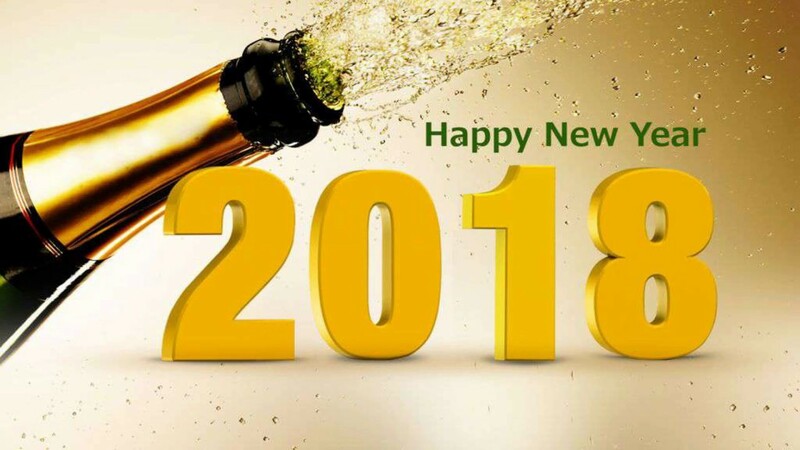 Update: As of 9:30 a.m. Chicago time, Happy 2018 New Year to Samoa, the Christmas Islands, New Zealand, Australia, Tokyo, Seoul, and North Korea. Just a few hours before 2018 is here! The first places to welcome 2018 will be Samoa and Christmas Island and the small country of Kiribati (the former Gilbert Islands). The New Year is coming to those small countries in the middle of the Pacific in (as of 12:33 a.m. Chicago time) in 3 hours and 26 minutes, which is 20 hours before we will welcome 2018 in Chicago, in the Central Time Zone. So when we awake on New Year's Eve, part of the world will already be experiencing 2018!